DALLAS – Oct 18, 2017 – The Energy Professionals Association (TEPA), announced the winners of its two most prestigious honors, the 2017 Aggregator, Broker and Consultant (ABC) and Supplier of the Year award during the 12th Annual Conference on Oct. 5, 2017, at the Ritz-Carlton Dallas. The 2017 Supplier of the Year award was won by Summer Energy and the ABC of the Year award was presented to APPI Energy and Satori Energy, the first tie for the Association. Jeff Lenetsky, TEPA Northeast Board President, presented the coveted awards during the conference. The TEPA Supplier of the Year award recognizes the TEPA member company with the most comprehensive, innovative and strategic vision for deregulated electricity and natural gas markets. It takes into consideration the company’s customer service reputation among its customers and employees. The TEPA ABC of the Year recognizes the most promising and innovative TEPA ABC company in areas such as contract negotiations, ethical business practices and customer service. Both awards are voted on by TEPA member companies. Summer Energy, 2017 TEPA Supplier of the Year, is based in Houston and serves residential and commercial customers across Texas including the Dallas/Fort Worth Metroplex, Houston and the Greater Houston area, Corpus Christi and surrounding cities. Based in Salisbury, Maryland, APPI Energy is a 2017 ABC of the Year winner. The firm provides data-driven procurement solutions to commercial, industrial, and nonprofit customers in every deregulated energy market in the U.S. APPI Energy reduces and manages electricity and natural gas costs for members of the 155 affinity groups that endorse the firm as their energy consultant. Satori Energy is a 2017 ABC of the Year winner and the only two-time recipient of this award. The company was founded in 2003 as an outsourced energy firm serving one client. Since then, the company has grown by consistently creating value and delivering results for more than 55,000 clients. Satori has continued its mission in serving its clients through strategic energy procurement, risk management, market monitoring services, and overall energy management solutions for clients in deregulated markets nationwide. 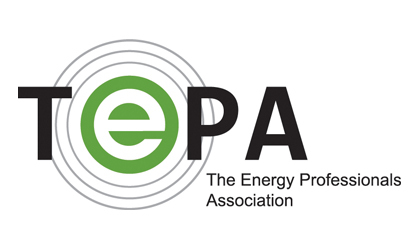 TEPA members exhibit expertise, ethical practices and a high level of professionalism to help consumers buy electricity in the restructured national marketplace. For more information contact Aaron Cook at ACook@TPRM.com, www.TPRM.com, or call (214) 520-3430, ext.302.